The early sequences when the kids put the machine together are nicely done and they somehow manage to convince you that they know what they’re talking about. For the first half hour or so, the film galumphs entertainingly along, barely pausing to draw breath. This being an MTV production, the teenagers desires are straightforward. Should they go back and assassinate Hitler? No, they just to win the lottery, pass their exams, buy flash cars and visit the Lollapalooza music festival! But it’s while they’re there that things begin to get complicated as David announces his love for Jesse (Sofia Black-D’elia) and breaks his own self-appointed rules in order to go back a second time to claim that first all-important kiss. As is often the case in such stories, he unwittingly causes a butterfly effect, the ripples of which create troubling problems that effect the world in general – everything from broken legs to plane crashes – and the more he frantically zips around in time trying to sort things out, the more disasters he causes and the less engaging the film becomes. Director Dean Israelite (seriously) employs the rather over-used ‘found footage shaky-cam’ technique for the early sequences, then throws it out of the window when it becomes unworkable. It doesn’t help that our luckless teens occasionally talk about their favourite time travel films – ‘Hey, have you seen Looper? Great movie!’ – which only serves to emphasise the fact that what we’re being offered here isn’t anything like as assured as that one, or indeed any of the others that are mentioned. By the final third, the film has collapsed into a shambling series of bewildering events that only serve to illustrate that the film has failed to deliver on its initial promise. A shame but that’s the way the cookie crumbles time wise. 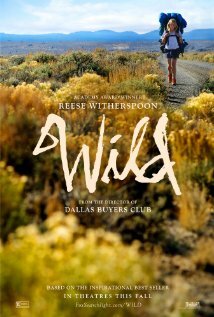 Wild is based on the autobiography of Cheryl Strayed (not so much a name as a job description) who after the death of her beloved mother, Bobbi (Laura Dern) has slipped into a life of heroin addiction and infidelity. Newly divorced from her long-suffering husband, Paul (Thomas Sadoski) she decides she needs to spend a little time on her own and rashly sets out to walk the Pacific Crest Trail, a distance of over one thousand miles. (It should perhaps be pointed out that Strayed had no previous experience of hiking, just a burning desire to complete the self-imposed task.) What follows is an account of her travels and the people she meets en route, cleverly intercut with flashbacks to earlier memories. Ably directed by Jean Marc Valleé, this is an engaging story with some fine location photography and a solid performance from Reece Witherpoon, who manages to convincingly play Strayed at all stages of her life (including, annoyingly, her college years.) If the overall effect is less powerful than say Into The Wild, a film with which it will inevitably be compared, it’s nonetheless very watchable and its only slightly marred by an ending that wanders rather too deeply into fridge magnet territory. In what has becomes a popular trope amongst film makers, a sequence of photographs over the end credits show the real Cheryl Strayed and demonstrate how accurately Valleé and his crew reconstructed events. 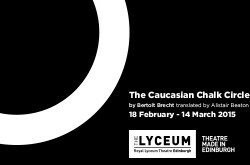 This is one of those productions that makes me want to bottle its essence, and use it when – in my day job as a drama teacher – I am introducing a class of students to Brecht and his ideas. There’s a danger, sometimes, of presenting him as too difficult or serious (he is, of course, both – it’s the ‘too’ that’s the problem), and of the alienation effect coming to mean something quite different within the confines of the classroom. But this production was so enchanting and funny and lively and, yes, engaging (sorry) that no one in the audience could fail to feel its impact. From the moment we entered the theatre, we were made witness to events. The stage was huge and cluttered, with all curtains removed and the wings exposed; costumes hung on rails, and actors moved around the stage, gossiping, going over lines, checking their props. After a while, a couple of actors came down into the audience and chatted. 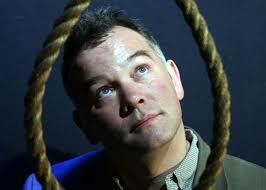 ‘D’youse know much about Brecht?’ one of them asked the woman next to me. ‘Nothing at all,’ she replied, and the actor hunched down on the floor beside her, and gave a quick précis of the ideas behind epic theatre. This deliberate negation of any notion of naturalism or realism was only made more stark by the opulent beauty of the late 19th century Lyceum theatre, with its proscenium arch and ornate boxes. This was no black box of a space, where experimental theatre is par for the course; it was a studied and deliberate clash of theatrical styles, and it worked – big time. The production was overtly musical, with a glorious performance by Sarah Swire as the singer/narrator, acting as a kind of rock-chick Greek chorus to keep up the momentum. The pace never flagged: this was an energetic ensemble piece, whose fourteen actors contrived to create the sense that they were many more. John Kielty was another standout, in a variety of roles, but most notably as the Governer’s snobbish wife; he clearly revelled in the drag and campery. Christopher Fairbank (as Adzak, among others) also made his mark, not least for his impressive rendition of a wide variety of accents. The direction (by Mark Thomson) was stunning. It’s hard to single out particular moments in such a seamless production, but I did love the depiction of the rickety bridge, with an enormous fan blowing a paper blizzard, while three wooden planks were moved in front of Grusha (Amy Manson), their wobbling placement creating a real sense of the crevasse she was crossing and the danger she faced. The puppet used to represent Michael was another delight, skillfully manipulated by Adam Bennett, who breathed life into the (polystyrene?) head, forcing us to confront the very real dilemmas Grusha had to resolve. All in all, this was a fabulous and celebratory piece of theatre: dazzling, spectacular, and – above all – thought-provoking. It’s on until the 14th March. Go and see it if you can. A brand new play that explores the origins of Manchester’s original street gangs, Scuttlers by Rona Munro, is set in the year 1885, but incorporates echoes of the city’s more recent riots. It’s a big, urgent production, stunningly choreographed by Eddie Kay of Frantic Assembly and featuring a cast of over 40 young actors, who race restlessly back and forth across the Exchange’s circular set, propelled along by Denis Jones’ pulsing, electronic score, which incorporates the clanks and rattles of machinery. Scuttlers has much to recommend it, though the story itself has an overly familiar feel and the tragic conclusion isn’t really the shocking surprise it ought to have been. It also doesn’t help that some of the dialogue is occasionally swamped by the score, but that’s doubtless something that will improve as the production settles into its stride. Production wise, there are some real delights here. I loved the central ‘loom’ design that could be adapted to provide suggestions of other locations and the unexpected appearance of a rain storm with real water, definitely had the ‘wow’ factor. I also loved the play’s conclusion as a stream of restless walking characters segued into the present, period clothing giving way to hoodies, trainers and mobile phones. This is strident exciting theatre, well-suited to a younger audience, which I hope it manages to connect with. 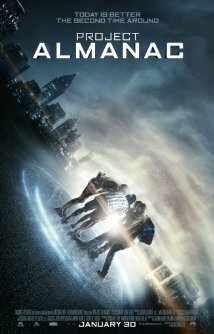 I only wish the storyline was as innovative as the wonderful choreography and theatrical effects. 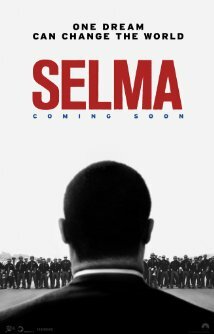 Selma chronicles the turbulent three month period in 1965, when Dr Martin Luther King led the protest to try and obtain equal voting rights for black people in the Southern states of America. Even though that right had already been officially granted, the powers that be had conspired to ensure that it was one that would never be claimed, so King set out to lead a series of ‘peaceful’ marches from the town of Selma, Alabama to the capital city, Montgomery. What happened next is a matter of history. The racist police and redneck citizenry enacted violent and bloody opposition to the event, beating and in some cases murdering the marchers with apparent impunity. Make no mistake, this is an important film. It examines one of the most shameful periods in civil rights history and largely gets its message across. But it’s also a curiously muted affair, a consequence perhaps of its 12A certificate, something which demands that the more distressing scenes are somewhat airbrushed. Curiously too, the film makers were denied the use of any of King’s legendary speeches, mainly because the intellectual property rights are tightly controlled by his children and they wouldn’t allow the use of them here (oddly though, they had no problem licensing the “I have a dream’ speech to a French telephone company for an ‘undisclosed sum.’ Go figure.) This meant that screenwriter Paul Webb had the unenviable task of writing some original speeches for one of the greatest orators in history. Much wrath has been incurred over recent weeks by David Oyelowo’s supposed snub by the Oscar and BAFTA panels. Many have suggested that his performance was overlooked simply because of his race. The truth is that he does offer a solid, understated portrayal of MLK, one that is full of dignity and one that captures the man’s distinctive voice patterns with remarkable alacrity, but at the same time, it doesn’t really have the stature (or the histrionics) expected of an Oscar contender. There are other solid performances on offer here too. Tom Wilkinson shines as Lyndon B. Johnson and Tim Roth perfectly nails the unpleasant, racist demeanour of Governor George Wallace. And yet the events are related at a funereal pace and there are too many scenes of King sitting in darkened rooms, brooding over his next move. A good film then, though perhaps not a great one – but at the same time, a film that absolutely demands to be seen by as wide an audience as possible. I was warned to expect to shed tears for this and though a notorious ‘weeper’ that didn’t actually happen. But a palpable sense of shame did remain with me, the shame that in my own lifetime, events like this were ever allowed to happen. It also helped me to appreciate the immense courage of all those people who put their lives on the line in the name of civil rights. 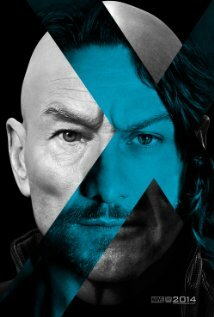 Of the many superhero franchises out there, (and there does seem to be an awful lot of them) the X Men films are the ones that interest me the least, so perhaps it’s not really surprising that I’ve waited this long to catch up with the latest instalment. It seems to me as po-faced and inert as the rest of them and somehow the bewildering array of mutants with the power to do ‘incredible’ things – bend metal, set objects on fire, affect the weather, make balloon animals… (OK, I made the last one up, but you catch my drift?) somehow never manages to ignite my interest, let alone suspend my belief. Amidst all the ponderous twists and turns, DFP offers one truly brilliant sequence, the scene where Quicksilver (Evan Peters) runs around in super-fast mode, altering the potentially fatal consequences of a police shootout. It’s extraordinary and all too brief and there remains the conviction that this was the set piece that director Bryan Singer was planning all along and that the rest of the film was just an excuse to set it up. Sadly, Quicksilver doesn’t have much else to do in the movie, which is a shame, because if there’d be more of his antics, this review might have been a tad more enthusiastic. But for me, this was overly complicated nonsense, expertly mounted, glossily filmed and featuring a host of talented actors, all of whom needed every ounce of their skills in order not to look bored.